Looking for adventure? Check out Utah. Laurence contributed to the 2011 Utah State Travel Guide. The online version of the travel guide is beautiful and fun to flip through. 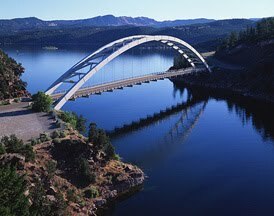 Laurence's image of the Flaming Gorge Bridge appears on page 66. Have you read Death in Big Bend? Join a discussion about Laurence's new book on Big Bend Chat, an online forum for regional topics. You can also read reviews of other books about the Big Bend area. Monday, July 26, Laurence will be a guest on Talk at Ten, a weekday radio interview program produced by KRTS Marfa Public Radio. Starting at 10:30 a.m., Laurence will be discussing his new book, Death in Big Bend, with KRTS host Rachel Osier Lindley. For live online streaming of the interview, go to marfapublicradio.org at 10:30 a.m. July 26 and click on the LISTEN NOW button. A recording of the interview will available on this blog after the show. Laurence Parent will be appearing at the Way Out West Texas Book Festival to sign copies of his newest book, Death in Big Bend. The WOW Book Festival will feature many Texas musicians and writers, performing and conducting readings of their works in locations throughout Alpine, Texas. Saturday, July 31, will begin at 9 a.m. with a keynote speech by acclaimed novelist David Morrell, creator of the First Blood trilogy and its famous character, John Rambo. Morrell has written a score of other bestselling action-adventure novels and is often called the father of the modern action novel. Laurence Parent's book signing, which will include other Texas authors, will follow Morrell's speech, starting at 10 a.m. Saturday at Front Street Books, 121 E. Holland Avenue, Alpine, TX 79830. For a map and directions to this location, click here. Laurence Parent's work will be appearing in at least two magazines in August 2010. 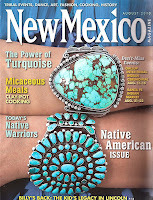 Check out his photo of the Capilla Peak wildfire watchtower on page 11 of New Mexico Magazine. 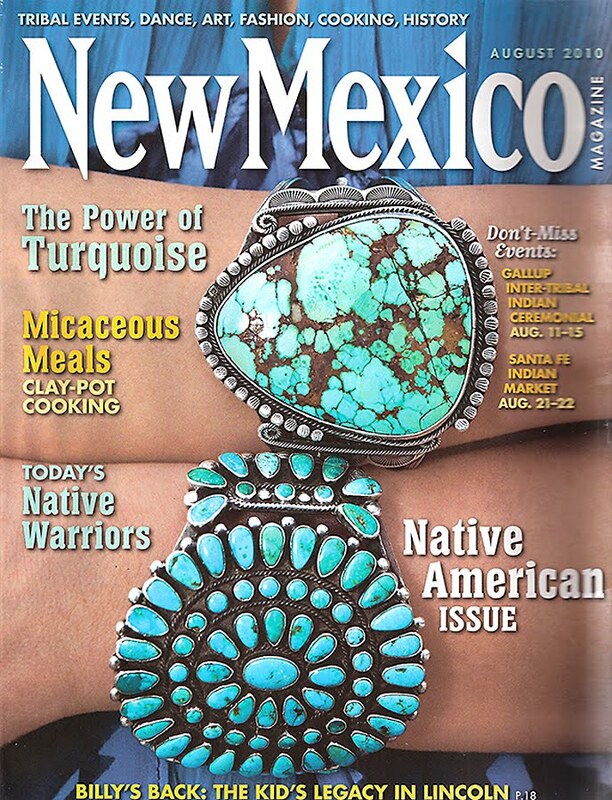 The accompanying article describes the work of fire lookout volunteers in New Mexico's mountains, as well as how to visit fire-lookout towers in the state. 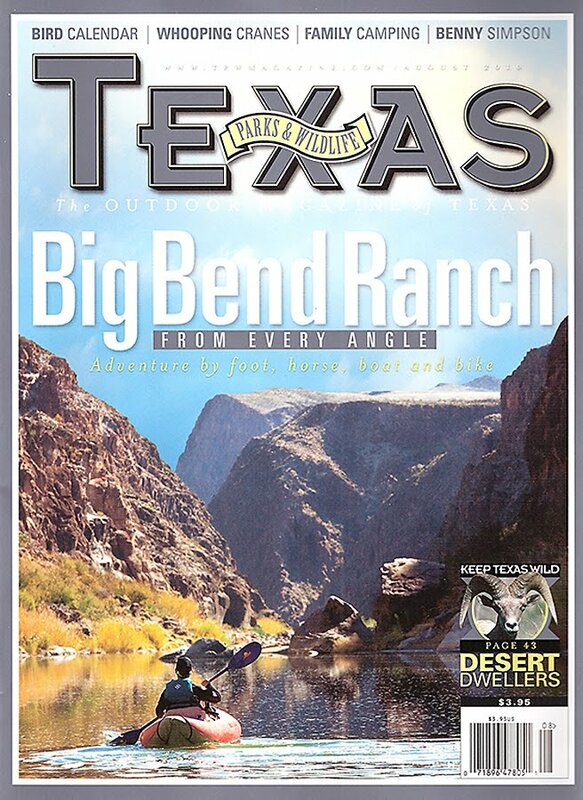 Laurence also has a 10-page feature spread about Big Bend Ranch State Park on pages 20 to 29 of Texas Parks & Wildlife Magazine. The piece is titled, "Adventure from Every Angle: Exploring the wilderness of Big Bend Ranch by foot, by horse, by bike and by boat." The article covers the ins and outs of a three-day cross-training trek through the desert backcountry. 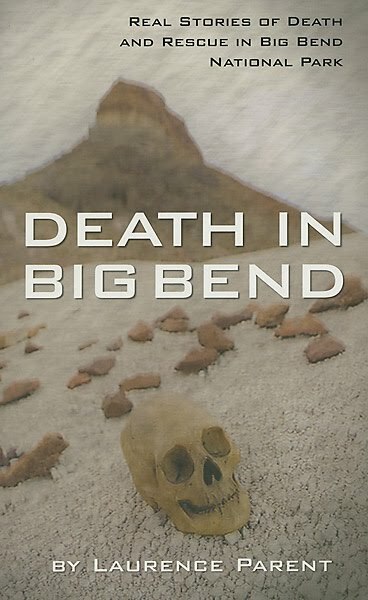 Death in Big Bend - New Book Release! Survivalism. Catastrophe. Death. These are not the memories people want to bring back from a National Park vacation. But just as the beauty of a pristine natural area can take your breath away, the dangers of backcountry exploration can take your life away as well. Death in Big Bend is the newest nonfiction book by renowned photographer and outdoor adventure writer Laurence Parent. The book chronicles some of the freak accidents, tragedies and dramatic rescues that have taken place in Big Bend National Park since the 1980s. These real life accounts are based upon park records and interviews with park rangers, victims and family members of victims. Parent, who grew up in the Southwest as the child of a park ranger, is an expert outdoorsman. His photography and adventure travel writing have been published in National Geographic Traveler, Men’s Journal, Outside, Backpacker, Sierra, Natural History, National Parks, Newsweek, Travel & Leisure, and the New York Times. Of his 39 book projects, which include travel guides, trail guides, and large format photography titles, this is his third book on Big Bend National Park. He has worked in the Big Bend area for decades and knows the risks posed by its harsh but stunning environment. “When someone dies from what seems a minor bad decision, it helps bring the lesson home,” Parent writes. Parent writes about first-time park visitors, like George Gregg and Douglas Pappas, who perished after starting simple hikes or drives without basic preparation. He explains the cases of experienced backpackers, like Carl Springer and Justin Baize, who fell victim to harsh desert conditions. He describes two seasoned technical climbers who got stranded in an uncharted canyon when they pulled down their ropes after a descent. The most horrifying account in the book describes the unsolved murders of a father and his young daughter in the park. In all these cases, Parent emphasizes the critical role of responsible preparation in successfully enjoying remote wilderness areas. Parent hopes the book will promote the safety of visitors to Big Bend National Park and of outdoor adventurers everywhere. These dramatic stories show how important it is to use common sense, heed advice from rangers, and leave prepared when enjoying national parks. Death in Big Bend, released in July 2010 by Iron Mountain Press, is available in Big Bend area bookstores and at Whole Earth Provision Co. stores. The book will be nationally sold at Barnes & Noble bookstores and online through Amazon.com and IronMtnPress.com starting in August 2010. Laurence Parent Photography is launching a new blog! Welcome! We will use this blog to share announcements about Laurence's book releases, his photography and writing contributions to magazines and journals, and special events he is involved with. From time to time, Laurence will post photography tips and answer questions about landscape photogrpahy and his work as a stock photographer. He also share stories from his work on assignment and in the backcountry. If you are interested in seeing more of Laurence's work, check out his online stock photography gallery at LaurenceParent.com. If you have questions, leave a comments or send us an email. Click here to search Laurence's online gallery.